I love beef vegetable soup, but I don't make it as often as I would like since we don't purchase red meat that often. On the occasions that we do buy red meat, it's usually in the form of hamburger patties or ground beef. I stay away from pricey beef cubes unless I can find a really great sale. 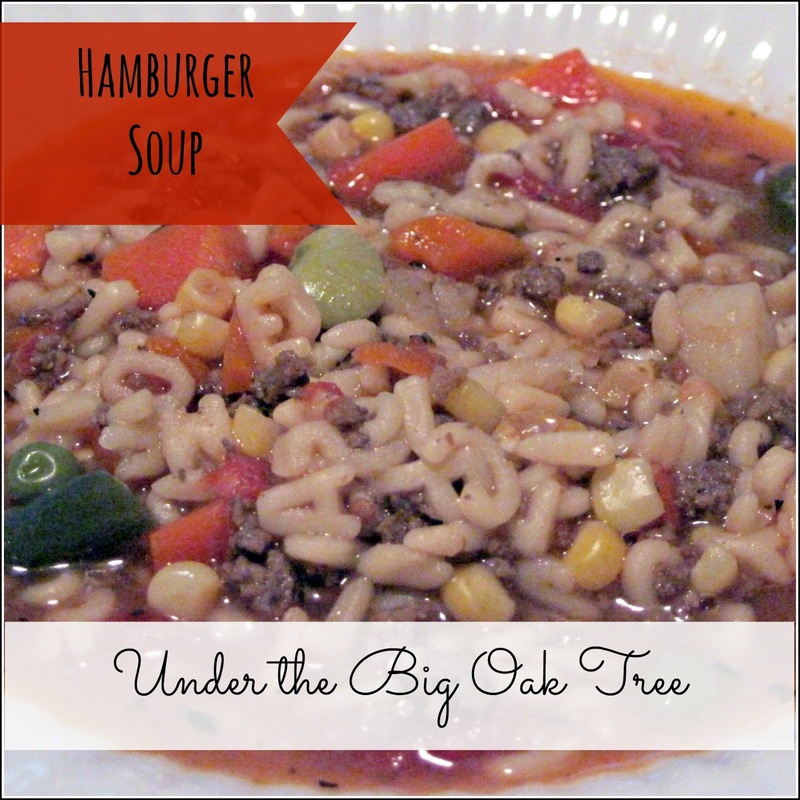 Hamburger Soup is a good substitute for the more traditional beef vegetable soup. I find it to be quicker as well as less expensive, especially if you have some pre-cooked ground beef in your freezer. I didn't have any on hand, but starting from raw ground beef only adds a few more minutes to the process. Brown the the ground meat, drain. Add in your diced vegetables and the broth. Stir in the steak sauce, worcestershire sauce and seasonings. Cover, reduce heat. Allow to simmer for 20 minutes. Stir in the mixed vegetables and pasta, simmer for another 5-10 minutes. We love this soup! It's an easy, throw-together soup that's perfect for during the busy work week. 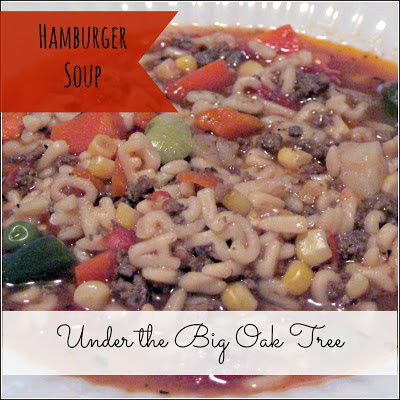 It's such an easy and quick soup that you can throw together in the morning and serve for lunch on a cold afternoon!